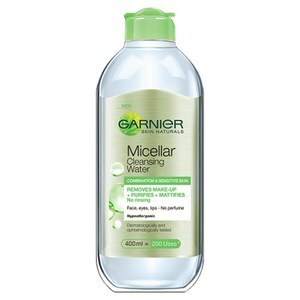 Refresh your complexion with the Garnier Skin Micellar Cleansing Water, a gentle cleanser dedicated to drawing out dirt and impurities without over-drying skin. Effortlessly banishes make-up without rubbing or rinsing so you can experience soothed, clearer skin with no uncomfortable tightness. Suitable for all skin types, including sensitive. Use in the morning to refresh skin. Use at night to remove make-up, cleanse and soothe. This is the most convenient product to have to take makeup off on those nights when you don’t feel like doing a full skincare routine. It takes off makeup really easily even waterproof mascara and doesn’t irritate my sensitive skin. I have a miniature bottle that’s great for travel and a full size in my bathroom that lasts me forever. This is such a great product - removes makeup easily, feels gentle on the skin and my skin has been noticeably clearer since I started using this as part of my evening routine. It's also an absolute bargain and lasts forever so will be remaining a staple in my skincare routine for a very long time to come! This is the second time I buy it.l've already used up one. It can clean up your make up totally! Even the eye lines and mascara. The most important thing is, it's cheap! 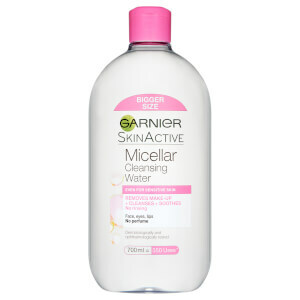 So far feels 99% the same as my Bioderma micellar water. Cleanse well. Not irritating. gentle, effective and leaves my skin feeling refreshed not greasy! 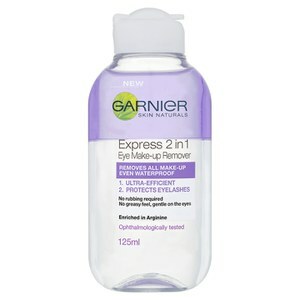 When I first saw this product I was a bit unconvinced that water could take my makeup off easily without the need to scrub away at my skin (which usually irritates it). I have used lots of different makeup removers before but quite honestly I just don’t bother anymore, they either leave my face feeling really tight and dry which I hate or they leave an oily residue on my skin which then requires me to wash my face again after. I was so surprised with this product because not only did it smell great (which is a big deal to me) but my makeup came off easily without the need to keep going over it a thousand times! My skin didn’t feel irritated, in fact my face has never felt smoother and my skin feels really hydrated. 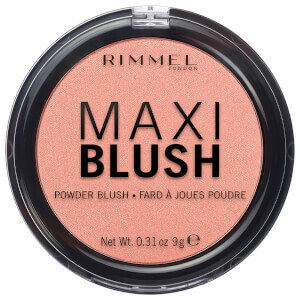 It is good product for resonable price.It removes make up easily.Does not irritate my skin. That is good for remove your makeup before complete cleaning. No dry no irritate skin but I prefer another one "bioderma".